This 1982 Westy has quite a bit of character. It is listed for sale at $14,900. While that might seem like a lot, Vanagon’s are a pretty hot commodity these days. The interior looks eclectic, but the palm tree carpet caught my eye. 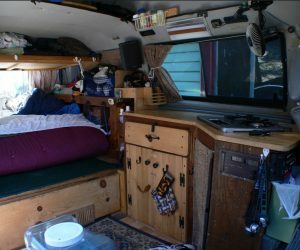 How would you like to live in this van full time? 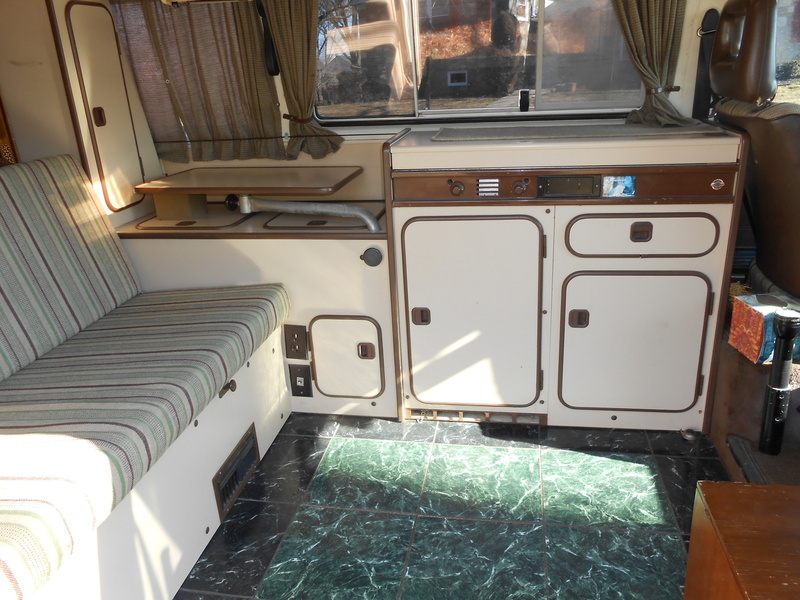 Here is a nice Vanagon flooring job. 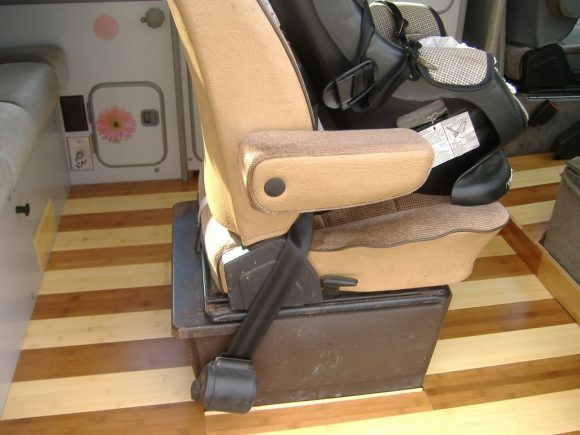 This user from The Samba decided to rip out the carpet and add two color bamboo flooring to his van. He did a great job. Click through for another pic. 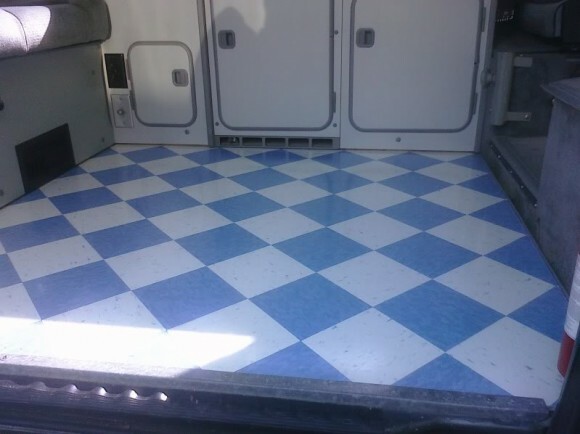 Checkered tile flooring for your Vanagon? 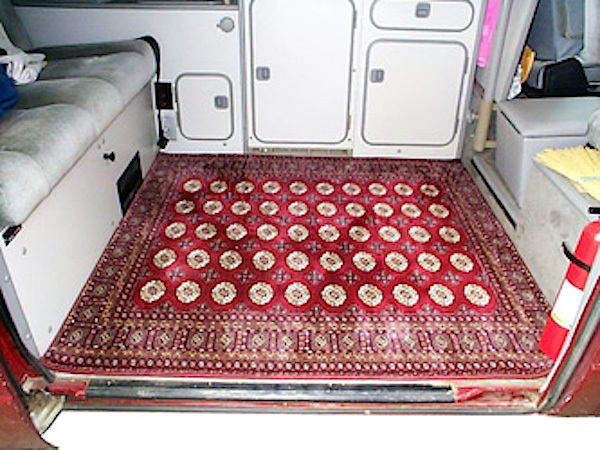 What kind of flooring do you have in your Vanagon? 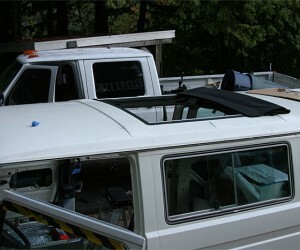 You can see how several other Vanagon owners outfitted the rear of their Vanagons with custom flooring. The Samba user, blackglasspirate, chose the checkered tile look. It reminds me of a 1950’s style diner. It’s easy to do and easy to maintain. Great job! 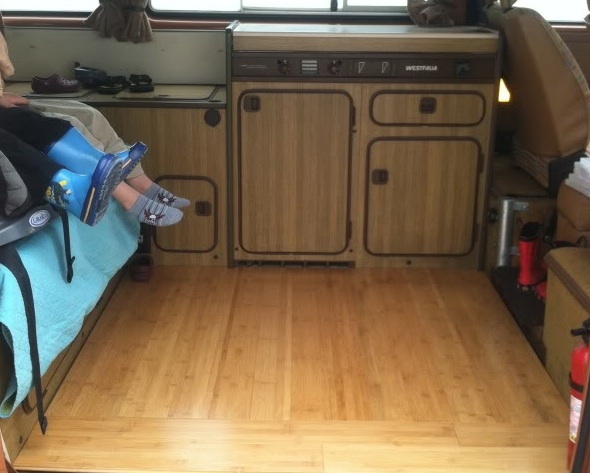 This is a nice installation of Allure TrafficMASTER Flooring in the Vanagon. 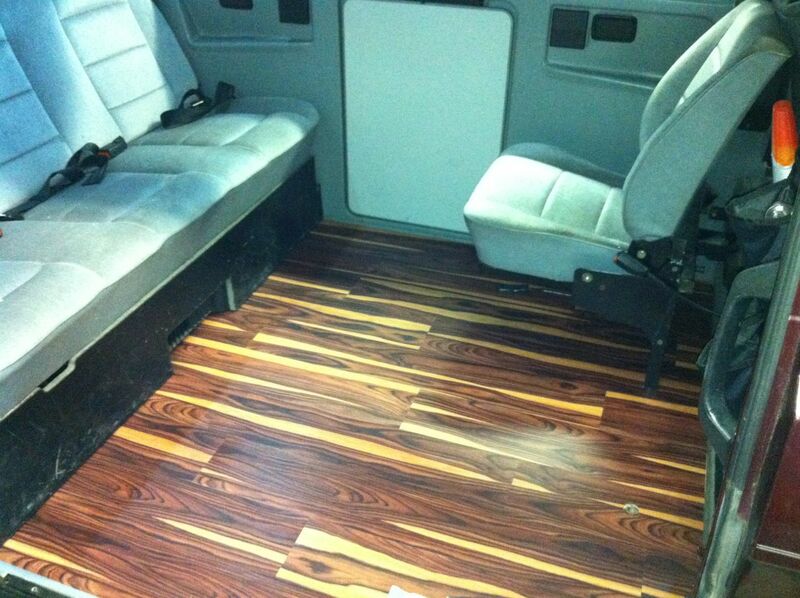 Samba user Christopholi chose the “African Wood” for his van. He filled the floor channels with plywood then installed the laminate over the top of that. It looks great, but he did not use any sound proofing so it’s a bit louder than with his carpet. He did the job for $85. Not bad. 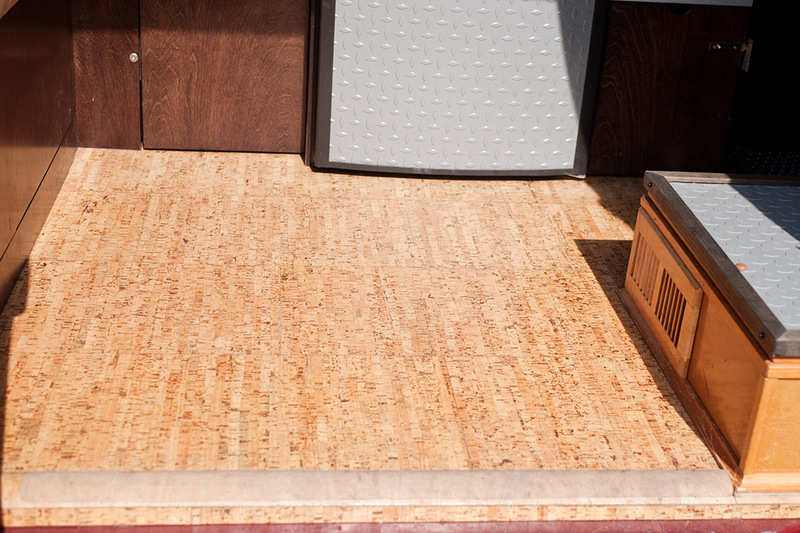 We have seen so many different flooring options for the Vanagon including tile, wood, carpet, rubber, and more. This is the first time I’ve seen an area rug covering the entire back area. Unfortunately, the original owner of this van no longer has their website up so we can’t see more pics. If you look closely they have some kind of large center console going on and the standard fire extinguisher placement. Check out this bamboo flooring install. 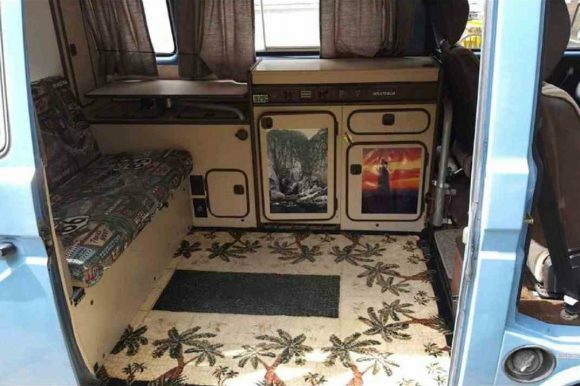 Samba user Congaman found some tongue and groove bamboo flooring and decided to spice up his 1981 Vanagon. It sort of matches his cabinets, but not really. He says the job took 30 minutes.